A new and convincing solution to the worlds greatest historic mystery, Atlantis. Over 2000 books have previously attempted to find the answer but invariably stumbled by matching only a handful of Plato´s clues for this fabled lost civilisation. This book matches almost 60 and includes the discovery of the ancient capital with its harbour that Plato described in great detail and the great sunken plain with at least one group of submerged ruins. Everything fits - the precise location, climate, topography, crops and animals, even the incredible wealth. It sits uneasily by one of the worlds most lethal seismic fault lines which in the past has wreaked havoc up to ten times more powerful than the recent quake off Japan with tsunamis 100 feet high. The great Atlantis empire is traced together with their leaders odysseys to civilise South America and Egypt. The unique Atlantean physical characteristics are pinpointed and an ancient alphabet traced from which Phoenicians and Greek developed.
" The book is a valuable addition to any Atlantis Library." "A new and compelling case for the location of the Atlantis heartland. An intriguing and thought-provoking read. " "So, is there anything different about what ‘Atlantis and the Silver City’ claims? The answer is a surprising yes, and the book deserves a close look. I have to commend the author for his careful reasoning and also his close examination of what Plato really stated. He uses logic and actual archaeological finds to make his conclusions - and what he concludes does fit Plato - all of Plato. There is a strong possibility that the things the book claims are factual and the author may have hit upon something important in his conclusions. 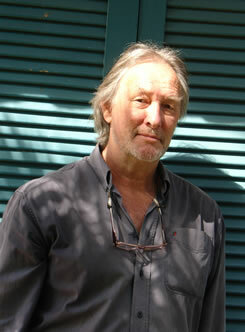 It is an intriguing book, well worth a read for anyone interested in Atlantis." " It’s a mystery that’s baffled humanity for over 2,000 years. Where was the great civilisation of Atlantis described by Plato and what happened to it? It’s said that Atlantis vanished below the sea almost 12,000 years-ago and in this book, author Daughtrey serves up the strongest answer yet to this historical enigma. Beyond Plato there are only vague hints from ancient historians and geographers as to what happened, but many agree this is a search for a huge island. Daughtrey argues otherwise and in this book puts forward that it was something else entirely. With everyone thus far misled into searching for the wrong spot, this read might just lead you to the real deal." "entertaining and accessible … a book for anybody who is interested in the mystery of Atlantis." "meticulous research … Peter has gone back to Plato, analysing what he sees as around ‘100’ clues in the text, of which he believes 60 can be verified." "… claims that the lost city of Atlantis is not by the Greek island of Santorini, but in the Algarve in Portugal … [the author] has thoroughly researched the legendary city and is now convinced that the town of Silves matches Plato's description." 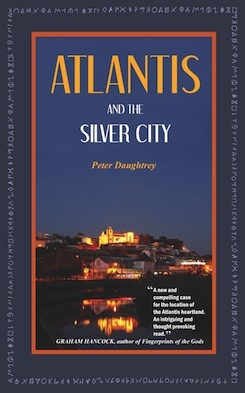 "Offering compelling evidence and using closely-argued theories, Daughtrey makes an extremely plausible case that the Lost City of Atlantis was actually on the site of the Algarve town of Silves – and, to the surprise of many, about 9 km inland. Actual remnants even exist of its famous encircling embankments, separated by canals of water. A book for anybody who is interested in the mystery of Atlantis and ancient history, it also contains thought-provoking evidence for historians and geologists as well. " "An unusual and riveting read… you are sure to be entertained."